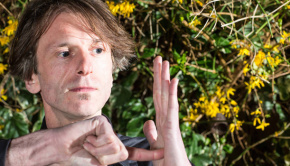 Emmett Elvin must slice himself very finely to get enough time to be part of Guapo, Knifeworld, Chrome Hoof and others as well as attend to his artwork. Most will be aware of him via his keyboard contributions to the bands named above but he is a multi-instrumentalist as the listing for his second solo album, Bloody Marvels, attests, credited here with string and wind instruments alongside the expected piano. Predominantly acoustic, Bloody Marvels also features contributions from friends and bandmates including members of Knifeworld, Stars In Battledress and Matt Stevens from The Fierce and the Dead. There is much to enjoy here with unusual textures and settings unleashing finely tuned melodies that act in unorthodox ways. This is a very personal album that sheds light on Emmett’s many talents and will hopefully raise his profile. The genre is irrelevant, this is a collection of quality instrumental music that thinks outside the box and is sure to appeal to enthusiasts of many different styles and form. With the power to get under your skin these atmospheric pieces sound like an intriguing soundtrack looking for a film and so it is probably best to consider them individually. Opener, the brilliantly named Artificial Pterodactyls Over Leytonstone fittingly comes across like the optimistic intro to a road movie, the scale of the impending endeavour becoming clear by the end. The acoustic guitar focal point displays Emmett’s slide style multi-tracked with different textures whilst the way that the tracks are built shows what a good ear he has as unexpected. Violin takes us in a jazzy Stéphane Grappelli direction before a descending scale becomes a fugue of piano, guitar and drums making for a very powerful opener. Solo piano and oboe take over for the floating and light Phobos, like a white landscape in gentle snowfall. The melody is lovely as exquisite violin and swelling strings give it a classical dimension. In contrast, the wonderfully woozy slide guitar and affecting melody of Toxic Sweetheart sets a rural scene in the Deep South of prohibition where, it seems, something unexpected is about to kick off! Agitated guitars retreat into the middle distance with the onset of industrial clanging as “the event” takes place. Beyond Astronomy’s Reach is for a thriller where science goes wrong. Light cymbal rhythms give way to a jazzy beat, stabs of piano and woodwind emerging. Urgency develops from bassoon and brass as the pace and intensity increases to a climax then dies completely, the woodwind melody returning with xylophone as the pressure builds again. The brief The Indolent Spark has a film noir feel with strings and tinkling bells, a mystery involving unexpected disappearances perhaps? It ends all too abruptly and we’re into Where Do You Think You’re Going? where all is not as it appears, an idyllic life hiding a dark secret… The acoustic guitar and banjo is an affecting combination, woodwind and slide added before an unsettling mid-section of wind and strings. 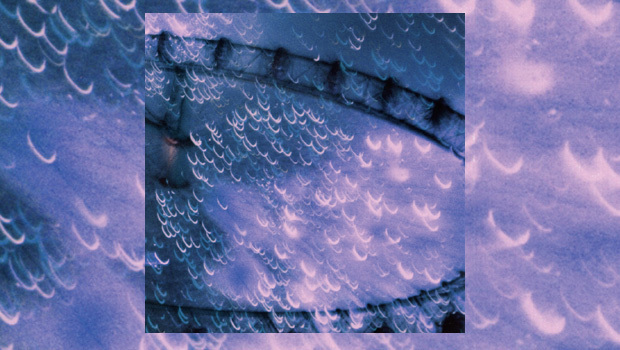 Twinkling piano adds a new texture, romantic violin soloing until drums change the mood to dissonance, bassoon adding an accusing tone as brass shrieks – it’s like an assault in a back alley. If Harmonium Phosphate isn’t a real compound then it should be. In this one it appears that daybreak uncovers a shocking surprise, the harmonium of the title immediately visible with mournful strings set against a bright and beautiful piano line. Things take a turn to the sinister as percussion makes an impact in a track that covers a lot of ground in a short time. Now we get to the dream sequence that is Nocturine, a repeated fragment of piano repeated against a woozy backing to give a dizzying effect, and then we’re back to the swamp for the jaunty blues of Jupiter Sneezed. Images of the back woods with a sign that reads “CAUTION: Moonshiners at Work”, a picked melody emerging from slide guitar with Emmett’s percussive style suiting the textures with the track layered into a compelling whole. Two Tree Island Drowning describes what it says, apparently an autobiographical incident from childhood. As picked guitars circle each other, a rhythm emerges that builds as panic sets in. An electric guitar swoops over repeating acoustic patterns as the piece goes full circle. Disaster Avenue is not an address where many would choose to live, echoed piano giving an almost underwater feel, guitar taking the lead; sparse and surreal. Rhythmic and fast-paced, the sinister acoustic guitar driven Witness Unknown has an almost Stars In Battledress feel and features the only vocal on the album, the unsettling tones a great fit with the music until it explodes with drums, strings and woodwind. A beautifully world-weary voice emerges as the backing becomes more frenetic, this is one of the highlights. Medicine Box is light and airy, the perfect remedy to the bleak outlook of Witness Unknown. Rhythmic four-note cycles ebb and flow, strings glide through with xylophone adding a new dimension and you get the sensation of birds in flight. Outro is a brief tinkling of bells coda to the album proper before we get to the two bonus tracks, the first of which, X Corpus, features solemn and tentative piano over harmonium and strings. Drums and church organ emerge, a rising string scale taking us skyward like the stairway to heaven. The setting is lush and opens out into a fanfare of organ and sampled brass, this is probably the proggiest part of Bloody Marvels. To close we’re back in the swamp land for Dustbowl Prizewinner, bird noises and garbled vocals giving atmosphere with piano and brass emerging in a sparseness that evokes the desolate feel of the titular dustbowl. And it’s done. Someone please buy Emmett a video camera for Christmas so he can tie all this together with a real film. I’d watch it. The pieces evolve out of nothing, disparate elements coalescing into an enigmatic yet inviting whole, arresting and interesting works that divest themselves of their secrets over time. There is plenty to admire and enjoy here, all beautifully arranged and put together. Difficult music realised with ease, the instrumentation and arrangements are particularly skillful. Bloody Marvels is an idiosyncratic release that doesn’t try to fit into any perceived boxes, these are the workings of one man’s mind realised in music to produce an uncontrived work capable of holding the attention. It has taken me far too long to write this review. 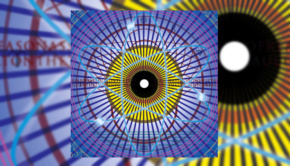 Initially I just couldn’t figure out where to start, there was just too much going on at its own pace and for its own enjoyment, but as I’ve lived with Bloody Marvels the true skill and beauty has emerged and it has become a real treat to listen to, images conjured in the mind as the musical journey progresses. The images you see may be different to mine but I have no doubt that you will see something! Atmospheric and descriptive instrumental music of the highest order for which Emmett should be highly praised. 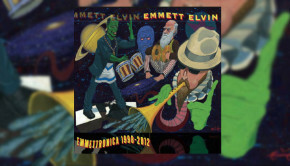 Emmett Elvin – 6 & 12-string Guitars, Resonator Slide Guitar, Piano, Recorders, Percussion, Mandolin-banjo, etc.